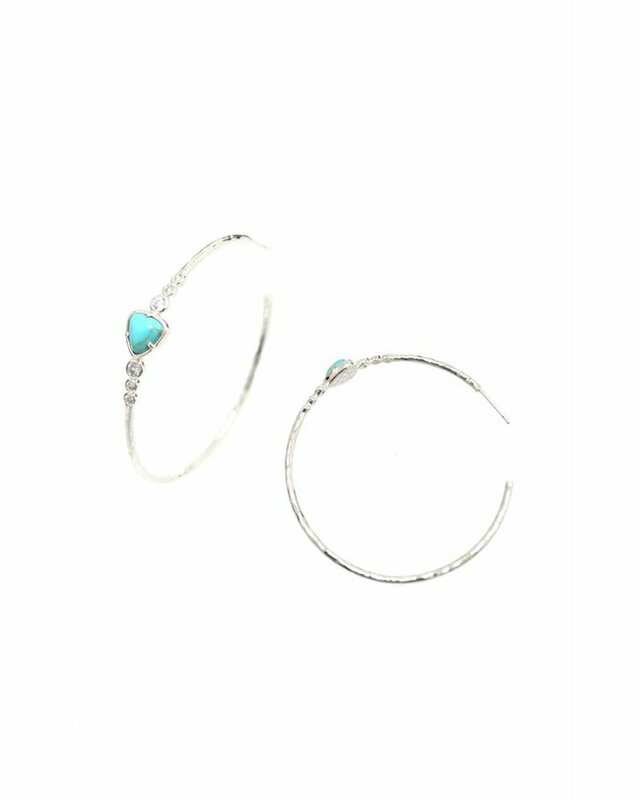 Silver Hammered Hoops with CZ's & Turquoise. 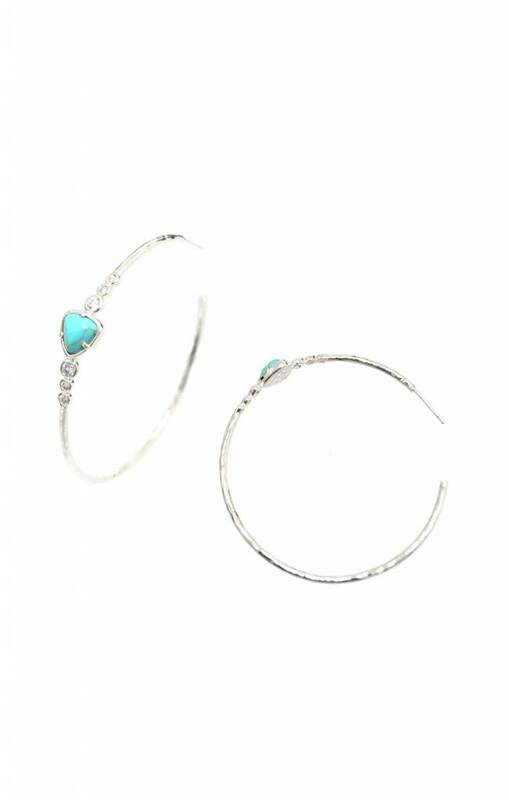 The Perfect Summer Hoop! 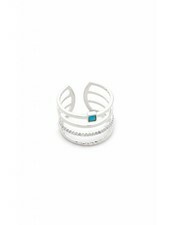 Four Row Silver Stack Ring with CZ's & Turquoise Center.